The new Midwestern Gothic is out! Midwestern Gothic is a great literary magazine dedicated to promoting the writers and artists of the Midwest, and this summer I am exceedingly pleased to tell you that it includes my story “Sunfish,” as well as the work of many other excellent writers. 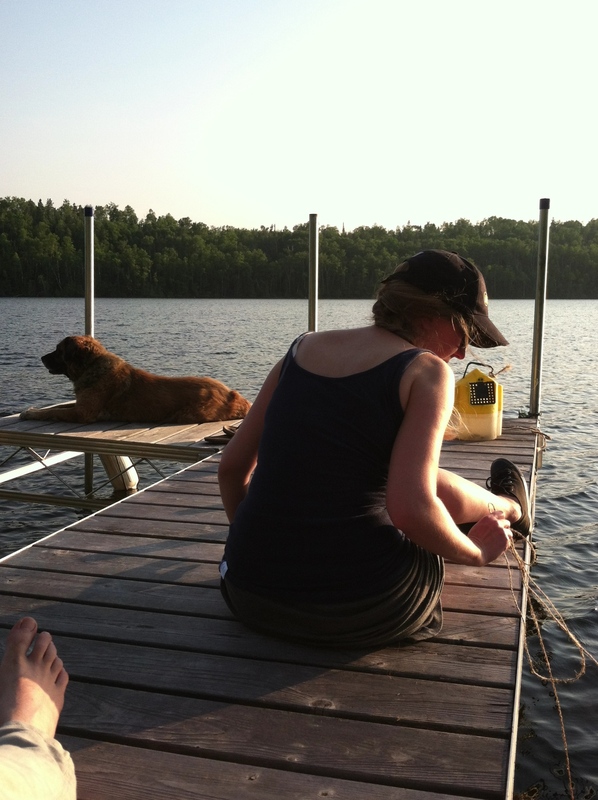 I wrote this story mostly while up at my family’s vacation house on Lake Wilson, way up in the middle of nowhere, kinda near the Boundary Waters. So the setting is based in reality, and it’s a “realist” story (as opposed to speculative—no aliens or sentient marble in this one—not like in the Flaubertian sense or whatever) but the characters and story are entirely fictional. Here is a picture of our real lake, where I am in fact staying right at this very moment. Flies zip and bang against the picture window, looking for the night out there, the rush of wind and waving trees. So beautiful, is what the city people will say; they’ll gaze out upon the lake, hear the loons calling across, inhale the breeze through the pines. And it is beautiful, but Hildie and Maren don’t much notice—they’ve been seeing it everyday for sixteen and seventeen years, as long they’ve had eyes open to look. Many thanks to Midwestern Gothic for including my story, and a million billion thanks to anyone who buys the magazine. ← How to name your band (or hair salon, or restaurant) something French!